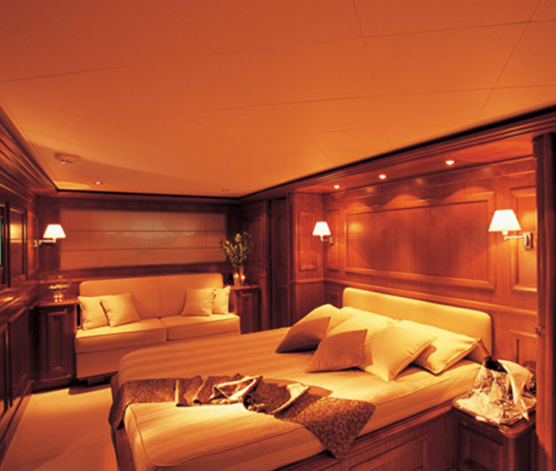 Luxury Greece motor yacht IRIS is a 2004 Navetta 30m CRN Custom Line by Ferretti. 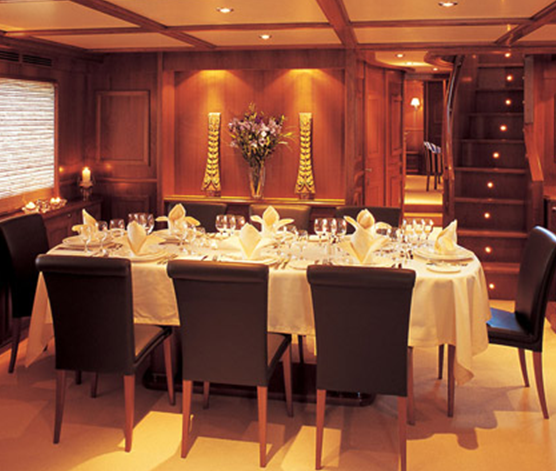 IRIS is a luxurious residence on the sea created for long cruises and to create relaxation, peace and comfort. 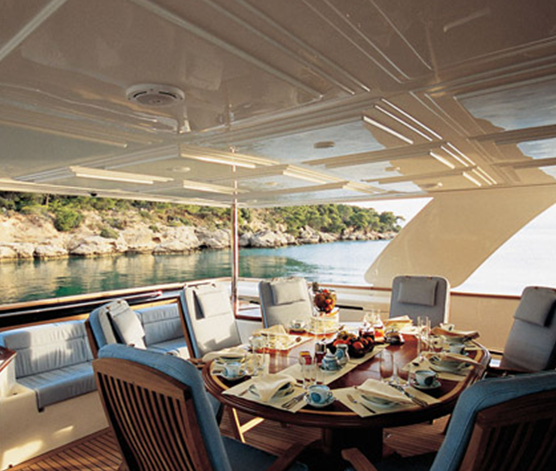 She is modern yet her classic, external lines are complimented by the versatility of her inside layout – ideal for wonderful charters in the Eastern Mediterranean. The view from IRIS upper deck is spectacular thanks to the large electronically controlled windows. 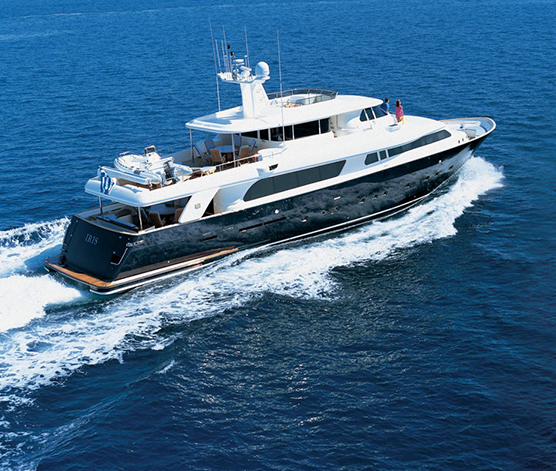 Her fly bridge with Spa Pool, deck chairs and walk around make this Navetta ideal for living sea life to the full. From the bridge it is possible to access, via a ladder, the private solarium that provides wonderful views. 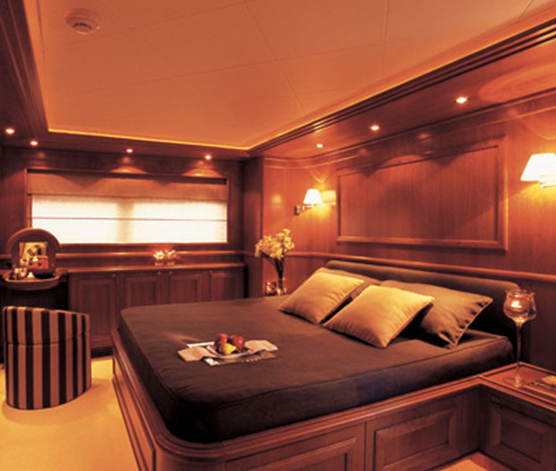 Her interior elegance creates a classic atmosphere and the generous space of the lounge and cabins, all with bathrooms, provides every imaginable creature comfort. 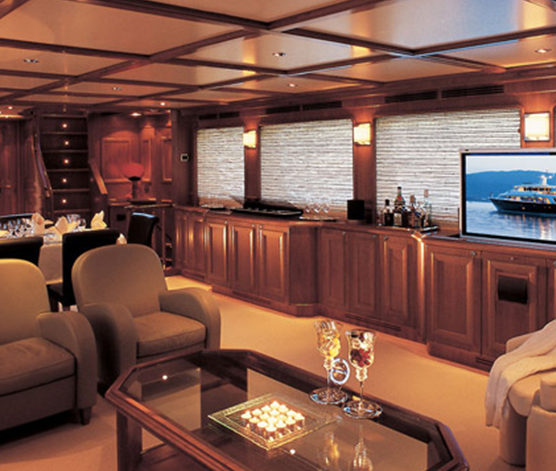 The sophisticated elegance meets the superior professionalism… Iris has a magnificent interior featuring: a dining area for 10 people, entertainment facilities that include a central interior/exterior Hi-Fi system, TV/Video/DVD etc.